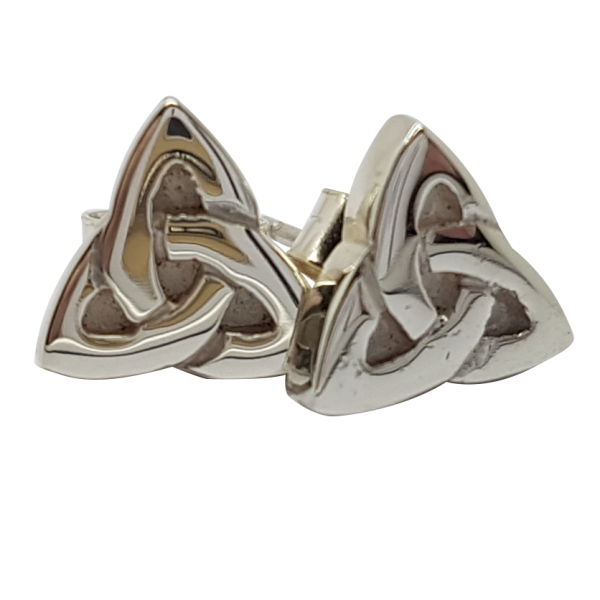 Our Triskelle stud earrings are a modern design featuring the classic Celtic Triskelle symbol. 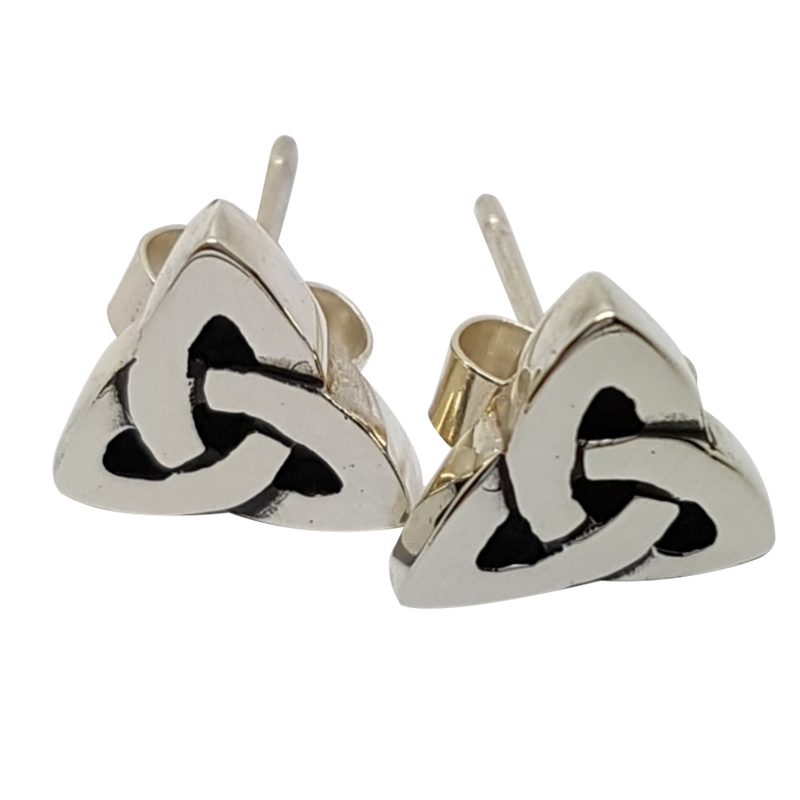 Traditionally, the Triskelle symbol was said to represent different elements such as earth – air – water, life – death – rebirth, spirit – mind – body, mother – father – child, past – present – future, power – intellect – love and creation – preservation – destruction. 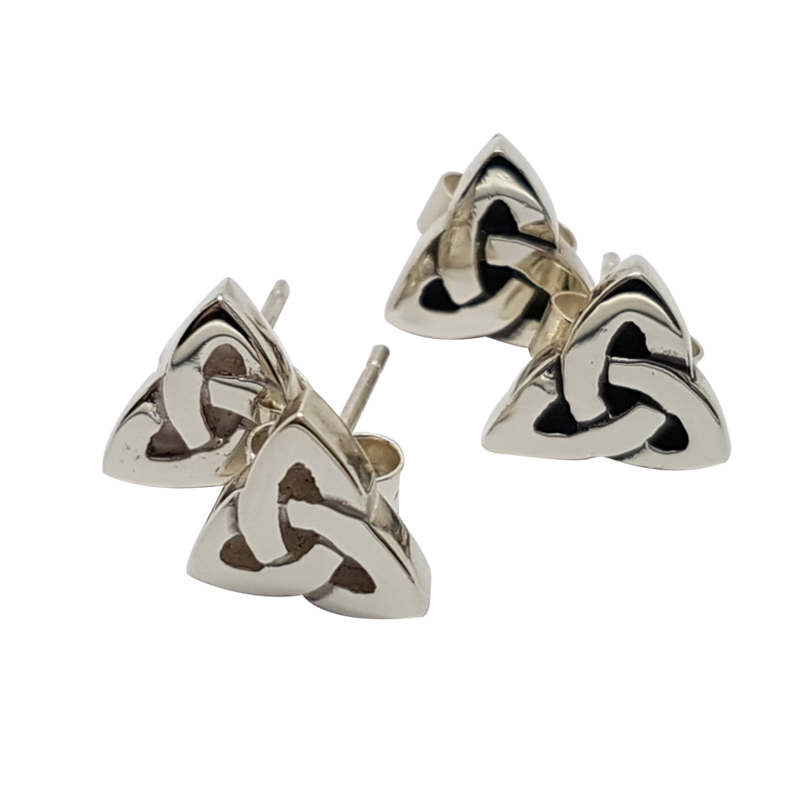 Made exclusively by Love from Skye on the Isle of Skye, these closed knot-work Celtic earrings measure 8mm.